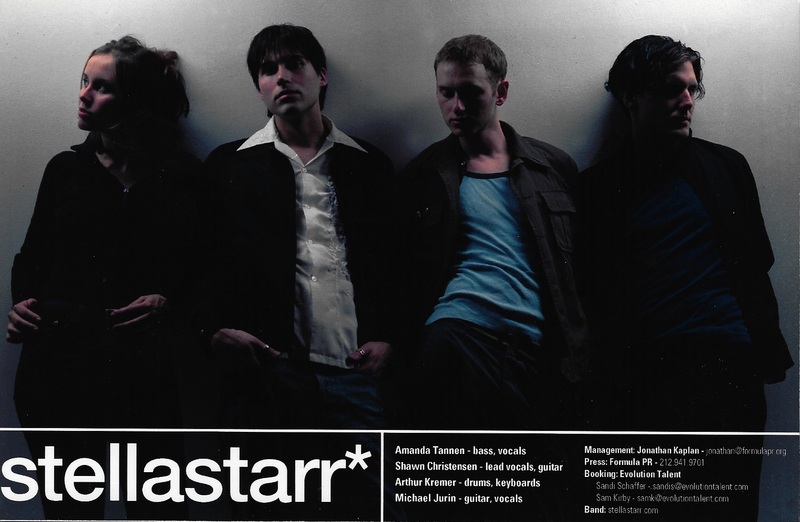 Signed by Tiswas Records in 2002 for whom stellastarr* originally recorded their debut album before it being released on RCA in 2003. 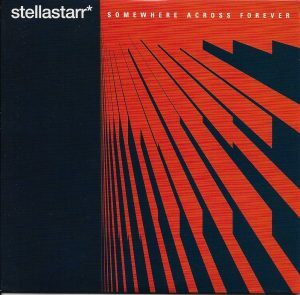 Tiswas Records released stellastarr*‘s debut EP ‘Somewhere Across Forever’ in 2002. 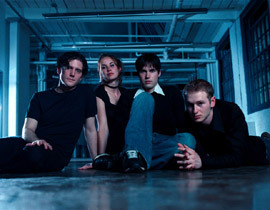 Millions of years ago, when this planet was a steamy oxygen rich terrarium of greenery and gigantic lizards flopping around eating each other, the members of stellastarr* landed here from outer space. Given the planets lovely weather, the cool (and cold blooded) pets, and the severe damage inflicted upon the spaceship during the “landing”, they decided to stay and make Earth their home. Slowly, people started turning up: hairy little things, drinking their wine, crashing on their couches and sometimes just shouting at them incoherently. Civilization took friggin’ forever. And hygiene took even longer. 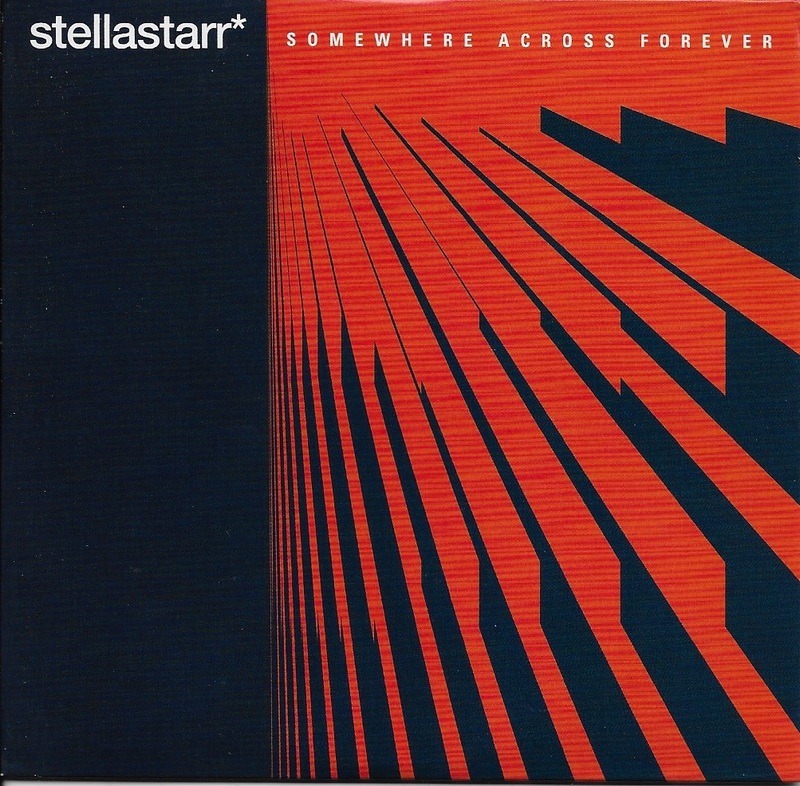 But stellastarr* rode it out. In-between watching that vicious cycle of people fighting each other, then getting along and then fighting each other again, the band did have a fun time attending histories live performances. They’d attend anything from sacred grounds and amphitheaters to juke joints for a good show. And occasionally they would make some wild rumor that would get everyone all riled up and fighting again. Silly people. Good music stores didn’t even exist until pretty recently. 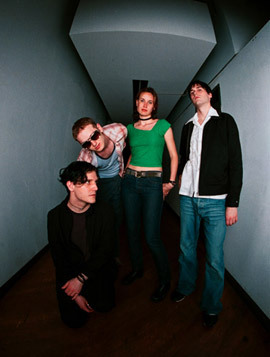 By then stellastarr* became quite bored, and decided to release some music of their own. 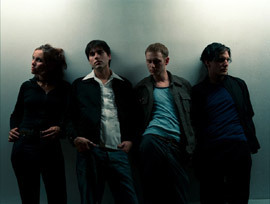 They have since been performing live and recording albums of their music for ten Earth years. Some of the Earth people even seem to quite like it.